Robert E. Simon founded Reston in 1964 on the principle that it would be inclusive for all. 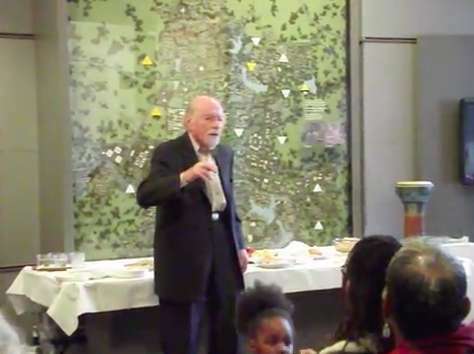 Six years ago this month, during a Black History Month event at the Reston Historic Trust and Museum, a 96-year-old Simon shared some of his thoughts about racial inclusion. Simon died in September 2015 at the age of 101. H/T Restonian. Screen grab via YouTube.